Now is a great time to think about that new home you’ve been dreaming about. With mortgage rates at the lowest they have been in years, home buyers can afford more house for their payments. The current loan interest rates are in the 3% area, making them the lowest they have been since early in 2013. It isn’t likely that they will fall much further, if any at all. In fact, the new lows are a good signal of economic recovery. That plus further improvement in the general outlook for the future of the economic atmosphere indicate a likelihood of a bounce back in interest that will have those low rates begin to skyrocket in the near future. If you have been thinking of getting a home of your own or upgrading from your current home now is a really good time to get it done. The difference in interest rates on home loans from this same time in 2014 gives buyers a big advantage. The decline in interest means lower monthly payments for comparable homes or a ten percent on average, increase in affordability for new homes. The low rates give current home owners an even bigger advantage, stay in the home they love and refinance to get lower monthly payments. The savings in the case of a simple refinance for a lower interest rate could save a home owner hundreds of dollars each month. For those that are looking to take money out for home improvements, vacations or college funds, the low rates mean they can refinance and increase the size of their mortgage, often times without increasing their payments, or by increasing the monthly payment a small amount. Rate-and-term: The Rate-and-term refinance is a very popular type of mortgage refinance with today’s interest rates going down so quickly. Home owners want to take advantage of the drastically lower rates from even just a year or two ago. A rate-and-term refinance doesn’t give the home owner money out of the refinance, it simply changes the rates or the length or other terms of the loan. 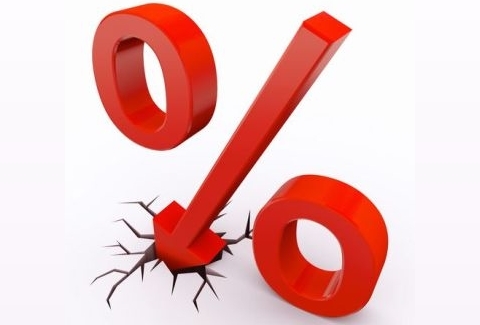 In the case of an interest rate reduction, the savings can be quite substantial. With mortgage interest rates in the 3% area now, refinancing a loan with a rate of 4% or higher can give home owners plenty of extra cash in the form of lower monthly payments letting them save hundreds of dollars a month. Cash-Out: Another popular form of refinance is the cash-out. This type of refinance lets the home owner redo their existing loan with additional value to it so they can get money back when the mortgage is finalized. With lower interest rates as a part of the refinance, home owners can often get extra money at closing without increasing their monthly payments at all. Money from a cash-out refinance can be used to improve the home, pay for family vacations, buy cars or even pay for children’s college tuitions. Cash-In: The last of the most common refinance styles is the cash-in refinance. This is a good choice for home owners who have found themselves with some extra money. Using extra cash to refinance and pay down the existing mortgage can automatically mean lower payments, and with the great low interest rates available, the reduction in monthly payments can be huge. Low interest and saving money every month on a mortgage is a great deal, but the fact that putting money in to pay down a mortgage will reduce the total amount of interest paid over the life of a loan. That plus taking advantage of the new low rates can mean saving tens of thousands of dollars over the total mortgage in interest payments. If a home owner can pay enough in, they may also be able to save by removing the need for a mortgage insurance policy for even lower monthly payments. Standard, conventional mortgages will require all of the same types of documentation produced for the original loan. When a home owner applies for a refinance loan with a lender, it is considered a new loan as far as an application is concerned. However, there are some ways home owners can ease the pain of applying for a refinance loan. Getting an original loan from the FHA or VA will entitle a home owner to get an FHA or VA Streamline loan. The Streamline loans are created to allow home owners to apply for refinancing using the existing loan application documentation for the new loan. In the case of the Streamline loans, lenders do not need to verify income, employment or credit. In some cases it will not even be necessary to obtain a new appraisal so long as the value of the loan does not exceed the old evaluation. In the case of a conventional loan refinance, remember that lenders want to see the “3 C’s” of loan underwriting: capacity, credit and collateral. Capacity simply refers to the ability to pay. The lender will need to see that the borrower has the ability to pay off all of their debts, including a new mortgage. Proof of employment and income level are usually all that is needed to show that ability. Credit: A credit check will be run to make sure your level meets the standards of the loan you are applying for. Collateral: In the case of a refinance, the home itself is the collateral, so it must be valued at the amount of the loan or more. Because of the crisis of 2008 where home values plummeted, many home owners find themselves underwater in their current mortgage. They owe more than the current value of their home. Under normal circumstances that would make it impossible to refinance because the original loan would have to be paid off, and the home wouldn’t qualify for a new mortgage of that value. There is help for buyers in this predicament. First, buyers need to be aware of the difference in the stated loan balance on their statements vs. a payoff price. The loan balance will show what the buyer will pay from that point forward until the natural end of the terms of the existing loan. However, when you refinance you are paying off the loan well in advance of that natural end of term. Home owners should call their mortgage company to find out what the payoff price actually is. When a payoff price is given by a lender, it will also state the length of time that quote is good for. Every extra day you borrow on a loan more interest is added to the loan. When paying off an existing loan, remember that interest will be charged for every day of the month since the last payment was made. That means closing on a new loan as early as possible in the new month can save money. The new lender for your refinance will be responsible for getting a payoff letter stating all specifications for the closing of a loan. Starting a new home loan can seem like a bit of a reprieve. Since new payments do not start until a full month of interest has been accrued, it can sometimes be two months before the first payment is made. However, it is a bit of an illusion created by the closing agreement most home owners do not quite understand. The closing costs will include “extra” mortgage interest to cover additional days. Never fear, your lender is getting all of the interest on the loan that they are entitled to. There aren’t really any skipped payments, but the illusion can be a nice one any way.